As you all know, the end of the expansion is drawing near and so is the pre-patch/release of Battle for Azeroth. That means that between our last raid kill and the start of the next expansion, the guild will go into hibernation. For those of you who haven't been with us that long (or forgot), this means that there will be no new official events on the calendar until the next raid tier, recruitment will be closed (except for family and friends of existing members) and activity will likely drop off a bit ingame as people's subs run out and many are taking a break from WoW to explore other games and activities. As usual I'll still be around and so will plenty others so you don't have to worry about the guild 'dying'. I've mentioned this before, this will be the 3rd time we go into hibernation and we'll pick up right where we left off when BfA comes out. 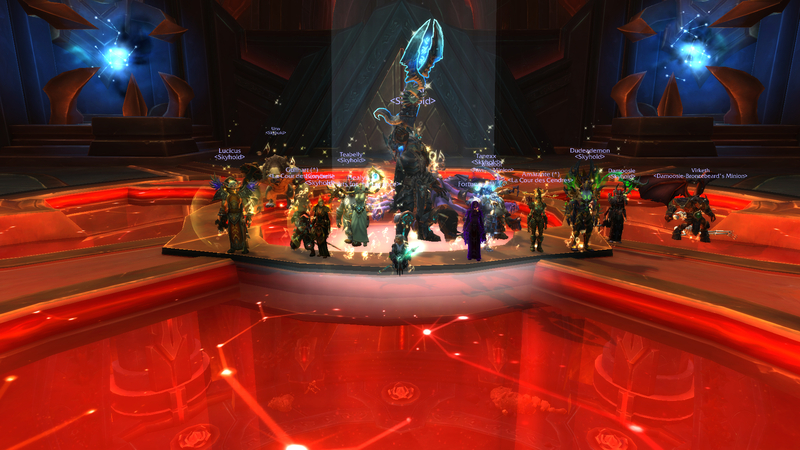 In the meantime there will still be some events on the calendar like M+15 attempts, a NH run and a HC KJ kill. Everyone is free to put up more events of course and Discord will be active all the way through so keep an eye on that as well. All that remains now is for me to thank you all for another great expansion experience. 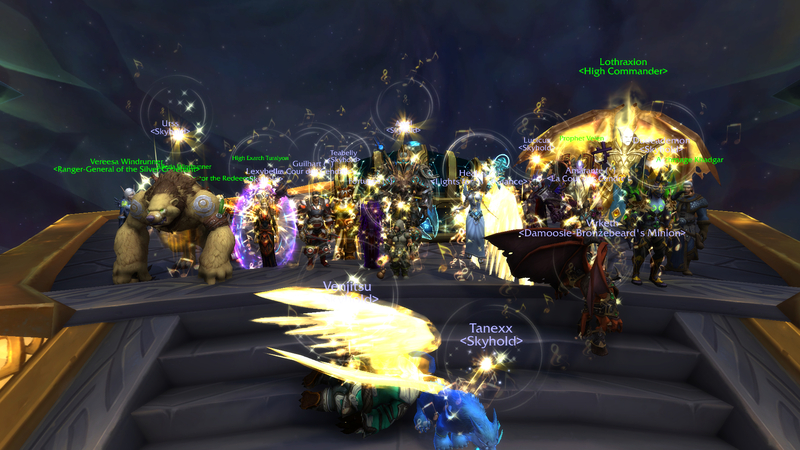 Socials, raiders and everyone in between: YOU are what makes this guild special. Everyone who puts in hours of work and dedication, be it from chatting at 2 in the morning to farming mats for the bank to wiping on heroic Coven 80+ times. Without you all this guild couldn't continue to exist the way it does, providing a relaxed hangout, a safe haven and casual progress raiding for all. As a GM and a raidleader I'm happy and grateful to have you all as my friends and brothers/sisters-in-arms and I'm looking forward to seeing you all again in the next raid to lead you to your dea--- I mean victory! Also, I want to say a special thank you again to everyone who was involved in the TRICKSES to set up and fund ingame gifts for me. I will never ever forget the kindness and appreciation you have shown me and I will continue to be the best GM I can be. So goodbye for now if I don't see you ingame or on Discord, enjoy your time off (BfA is only 4 months away) and catch you on the boat to Kul Tiras! Great expansion and glad i joined in with the Sav train again. Been a long time since you were helping my helpless troll shaman through the toils of vanilla levelling. To bfa and beyond. I can't really say more than I said on your kill shot but I'm so grateful to be here. Thank you so much for everything you do @Savian, you are such a fantastic guild leader and raid leader. I wish everyone a happy hibernation and really look forward to seeing you all in BfA! It's been a while, indeed. 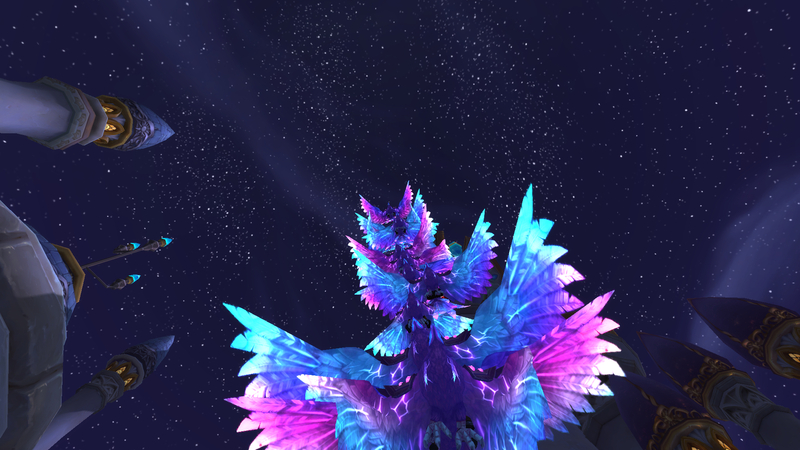 See you all (hopefully) in 5 months in Uldir (?). 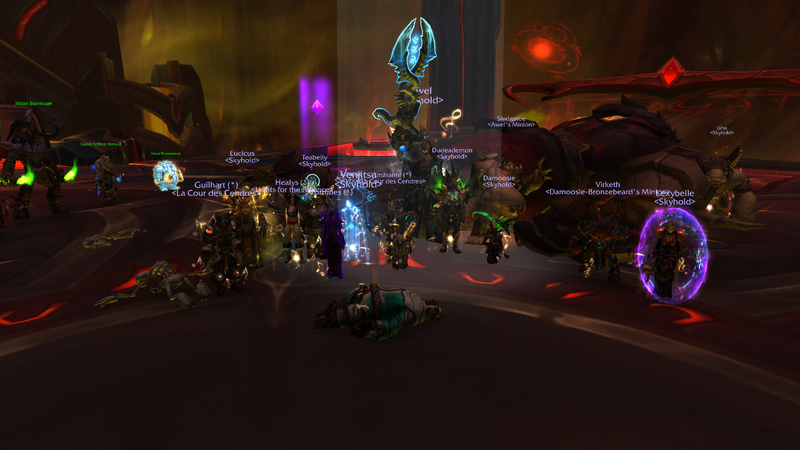 I believe Uldir is the first raid that we'll see anyway @Agagor @Aeyvi @Amy-Higgins @Savian @Myrth @Trellisaze @Raege @Amathal @Alfonzo @Droxx @Druify @Firkan @Ghostwing @Tebby @Internet @LunaDra @Newyn @Tammiee @Tebby! P.S. : I'm just gonna say a few extra words to our newcomer @trubetskoi. I do have to admit, in the first month or so I wasn't very fond of you. You reminded me of someone who likes to make the same joke over and over and over and over again within like 5 minutes. However, especially in the last few weeks of raiding, I've grown to like you a lot. I'm glad you're here with us now and hope that you'll stay with us to accompany us next expansion. Nooo, don't stop the rambling! I actually prefer our non-serious+rambling raids over our progress raids. It's nice to talk about some daily stuff once in a while, instead of silently sitting there and just looking at the boss % to go down. I just saw the post.... better late than never!